The Essences you'll learn about on this website are gifts to you from the dolphins and the whales. They're vibrational energy healing tools-activated and blessed by dolphins, whales, ascended masters and archangels. The Dolphins and the whales have a mission. Their purpose for being on Earth, is to assist you in healing the core beliefs that sabotage your willingness to being kind and compassionate to yourself. When you love yourself you become aware of your life's purpose. The cetaceans ( dolphins and whales) have evolved on all levels of body mind and spirit, through millions of years of evolution, for the sole purpose of creating the Christ Consciousness grid of Earth, that mirrors the Christ Consciousness grid surrounding Earth. The cetaceans, in collaboration with a committee of ascended masters, archangels and India's Avatar Sathya Sai Baba, who died in 2011, guided me to create healing systems and vibrational healing essences that carefully, sensitively and reverently guide you through the process of healing the fears and sabotaging beliefs. These are the doubts and fears that dose you with self-doubt about your self-worth. This is a Course Presented by Ascended Master Jesus, Avatar Sathya Sai Baba, other Ascended Masters as well as Avatar Dolphins and Whales. This is a course of great significance to those of you who know the importance of becoming spiritually realized. Those of you who will benefit from this course have already lived the life of the spiritual seeker. You have taken time to look at your life and take steps to change according to the guidance you have learned to trust. The Essences for the Home Temple help people help to create the home as a temple for personal and spiritual transformation. The Essences for the Home Temple are also called “The Peacekeepers.” The essences promote peaceful environments and peaceful contemplation, prayer and meditation. 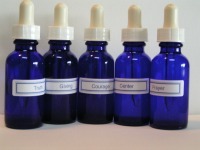 They promote inner peace when used for self-healing or healing facilitated by a professional. Grace is contained in a 4 oz. cobalt blue spray bottle. Grace is the only Essence for the Home Temple sold individually. Grace can be used as an aura spray, applied to the heart for healing fear, and it can be sprayed in a room to create a calm, peaceful feeling.